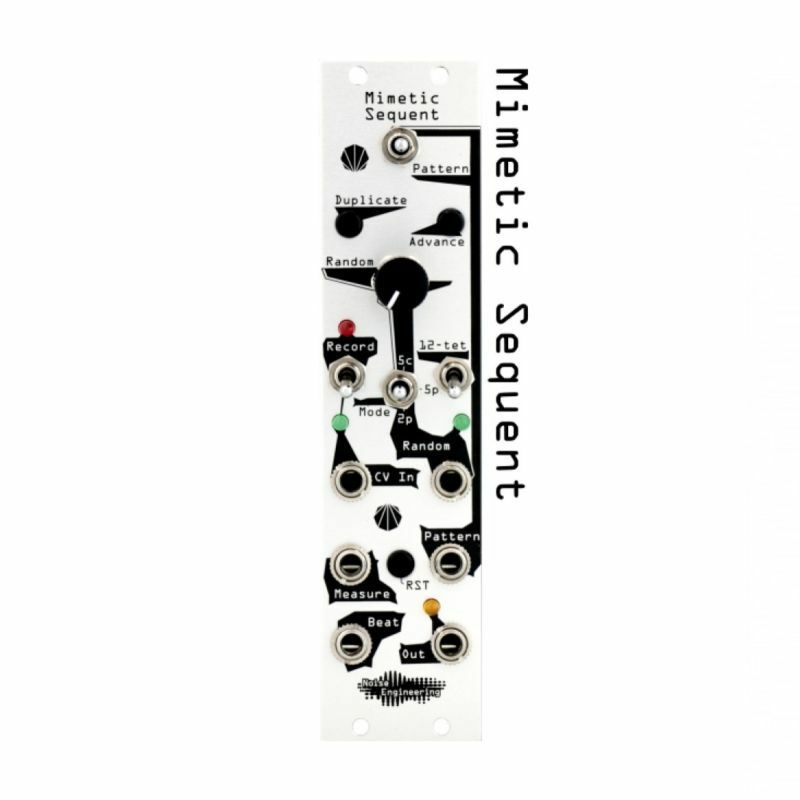 Mimetic sequent is a 6HP sixty-four step pitch-aware CV randomizer and recorder with the ability to save and modify three unique patterns. Switch between stored patterns on the single output. The 4HP Mimetic Multium expander to output all three patterns simultaneously in addition to four separate randomized rhythm sources. Mimetic mulitum: "A lot of mimes"